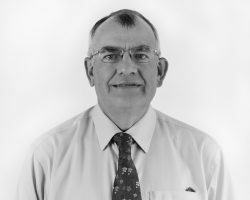 Based in Bristol Robin has over 35 years experience in planning for housing; and is a leading specialist in planning for affordable housing and care. He holds a Master of Science Degree in Town Planning from Heriot-Watt University and a Diploma in Surveying from Leicester Polytechnic. He is a Fellow of the Royal Town Planning Institute, the Royal Institution of the Chartered Surveyors and the Chartered Institute of Housing. Before co-founding the company in 1985, Robin worked for various housing associations across the UK and the National Housing Federation in London. Robin is the author of over 50 publications and articles on planning and housing matters including ‘Implementing Town Planning’ (joint author), ‘Land, Planning and Housing Associations’ (joint author) and ‘Continuing Care Retirement Communities: A Guide to Planning’. He was a regular columnist for Housing Today on planning issues for four years. Robin is an experienced expert witness, having appeared at over 200 planning inquiries and examinations, including numerous of national and regional significance; and given evidence to the High Court and various Parliamentary Committees. He has provided training to the Planning Inspectorate on affordable housing; and more recently has been appointed by the Welsh Government to an expert group on housing an ageing population.